Updated 3/4/16: Currently no job openings at Beyond Montessori in Dublin, CA. We are looking for either English, Spanish or Chinese teachers. We want a teacher who is enthusiastic about Montessori and who is comfortable holding a circle with a large group of children, observed outside play time, enjoy art, music and gets along well with children as well as adults. We are Montessori Immersion preschool located in Dublin working with children ages 2-6. 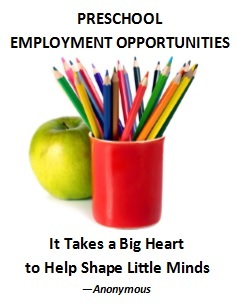 We have an incredible school, and are excited to find the perfect teacher to join our team. At least one year teaching experience, 12 units.